Executive Order is a solutions provider of custom IoT, database driven, BRMS, cloud computing, websites and smart client desktop solutions for your business. We provide custom software built by software professionals. 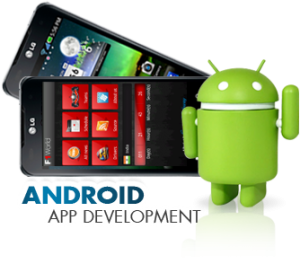 The professional developers at Executive Order build applications for web, desktop, Android mobile, IoT and other mobile devices. Our software development services team develops applications for the seamless connection and integration between popular networks, devices, platforms, internet and the Internet of Things. Custom Drools Development We build complex systems for automated network mgmt., business rules, business process management, natural language understanding, ontology, real-time planning, and visualization. We provide Artificial Intelligence (AI), Business Rule Management Systems (BRMS) DROOLS and Business Process Management (jBPM) research and development. Custom Software Development — At Executive Order, our custom software will improve the functionality of your enterprise technology initiatives. Our professional custom software consultants can help you define efficient business processes that will improve your operational efficiencies and your enterprise solutions. Equally important, our custom software designers will help you evaluate business practices and software solutions designed to increase and improve your enterprise solutions. Our software designs include detailed use cases, easy to understand wireframes and user interface prototypes, complete database models, implementation and test plans. Executive Order custom software development lifecycle management contains more information about our software consulting, software design, custom software development, and consulting solutions. Custom Applications — Our consultants help our customers to achieve their strategic information technology goals. Whether your need is a large enterprise-wide solution or simply need some additional resources to work with your team, we can assist you. Professional Services — We are a complete software development solution. By providing a full spectrum of consulting, training and services, we assist our customers with the development, integration, deployment, and management of their enterprise systems. Executive Order Custom Software Development — Executive Order will implement your project using the expert skills and talents of our experienced, knowledgeable developers. Our consultants’ design, develop and implement custom software. This can consist of designing a separate independent application or integrating software components with an existing client application. At Executive Order, our custom application software development is based upon the latest technologies available, and our custom business software solutions are designed to meet the exact needs of the customer. We develop custom business software solutions for a wide variety of industries and applications and can build a custom business software application for you. In addition to custom software development for business applications, we also provide database application development and web database development services using the latest JAVA application development methodologies and web database design tools. Our database consultants will work with you to create an optimum database design and our database programming staff will work with you to create a quality custom database solution that fulfills your enterprise requirements. The entire database application development process will be monitored by our project management and quality control team to provide a development test bed so our clients can participate in each stage of the development process. Executive Order database integration personnel can also help you integrate existing custom database software with your eCommerce or business web site.